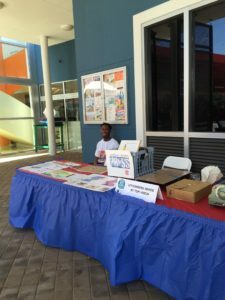 Extra Virgin Press was at Little Haiti Cultural Center in May 2018 for the Little Haiti Book Festival. 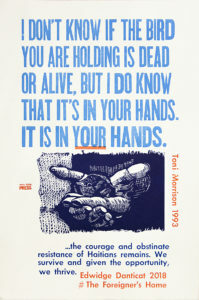 Interns gave printmaking demonstrations with a table top letterpress. 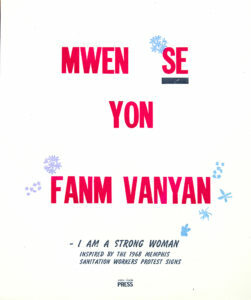 Two posters were created and printed on the letterpress for the Little Haiti Book Festival. Helped set up a Creative Capital professional development webinar/get together for six artists. The event was sponsored by Extra Virgin Press and hosted at Emerson Dorsch Gallery. Tom demonstrated and helped 70 preteen YMCA campers and 6 staff print on a letterpress at the Anderson Center in Red Wing, MN.